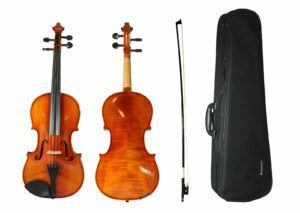 The Eastman VL100 violin is a step-up from the Eastman VL80, with an exceptional quality of sound earning it an outstanding reputation among instructors everywhere. Violin Outlet is proud to be the exclusive Southern Nevada dealer of this instrument, a staple among string programs throughout Clark County. Available sizes range from 4/4 thru 1/32.